Like much of the rest of the U.S., Santa Cruz experienced a boom in the craft beer scene over the past few years. It seems like a new brewery opens up about every month or two and the trend has contributed to our little slice of coast becoming a haven for beer lovers. This blog post reviews some of the most popular breweries in and around Santa Cruz. (Because this list is limited to five, there are several worthy places that are not included, such as Discretion Brewing, Beer 30, East Cliff Brewing Company, Sante Adairius, the West End, and the East End. 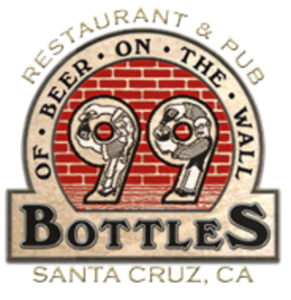 99 Bottles Of Beer On the Wall – A classic pub style brewery in the heart of downtown Santa Cruz, 99 Bottles has one of the widest local beer selections you’ll find. While there, you’ll notice the walls are covered in small plaques that honor the patrons who have tried all 99 beers, complete with a short saying. 99 Bottles is not just a bar, however; they also have regular events like trivia nights and live music, as well as a full kitchen with standard bar fare. New Bohemia Brewing Company – New Bohemia Brewing Company is a relatively new player on the scene in Santa Cruz, but they have quickly become a local favorite. Located on 41st Ave. in Capitola, they have both an upstairs and downstairs bar that provide a rotating stock of different brews. As with most of the local breweries, they have regular events that include comedy nights and live music. As of this writing they do not offer food. Santa Cruz Mountain Brewing – The Westside’s local “hole-in-the-wall” brewery, Santa Cruz Mountain Brewing serves up tasty suds from their small slice of the Swift St. Courtyard. SCMB is a certified organic brewery that is family owned and operated. They opened in 2005 and their outdoor patio is one of the best places to enjoy a beer and soak up some sun. Directly across from SCMB is the West End Tap & Kitchen, a newish spot that serves up several beers of their own, along with some fancy food dishes. Lupolo Craft Beer House – Another relative newcomer to the local craft beer scene, Lupolo is in downtown Santa Cruz situated between two other well-liked local watering holes: Hula’s Island Grill and 515 Kitchen & Cocktails. Lupolo’s has a bit of a fancier feel to it, but offers a great, relaxing atmosphere. It’s a perfect place to stop off for a drink after visiting the downtown farmer’s market on Wednesday. Seabright Brewery – A neighborhood bar, restaurant, and brewery, the Seabright Brewery has the atmosphere and charm you’d expect to find at a popular local watering hole. 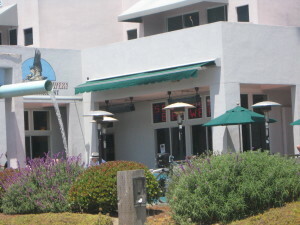 The have ample outdoor seating, which is great at just about any time of day, as well as a host of locally brewed beers. Their food is standard bar food and appetizers, including a great (affordable) happy hour from 3 p.m. to 6 p.m., Monday through Friday. Besides local breweries, you can try out also Santa Cruz wineries, coffee houses, dive bars or casinos.